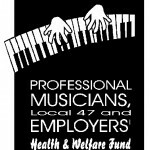 This entry was posted in All News, Health & Welfare and tagged H&W, Health & Welfare, Local 47 and Employers’ Health & Welfare Fund, Professional Musicians on March 19, 2019 by admin. Take Control of Your Health: Your Life Depends On It! Taking care of yourself by exercising and eating well can make a big difference in your over-all health. If you are healthy, stay healthy by maintaining a lifestyle that promotes wellness. This entry was posted in All News and tagged Blue Shield, H&W, health, Health & Welfare, kaiser on March 2, 2019 by admin. HAVE YOU HAD A CHANGE OF ADDRESS? This entry was posted in Health & Welfare and tagged H&W, Health & Welfare on October 22, 2018 by admin. 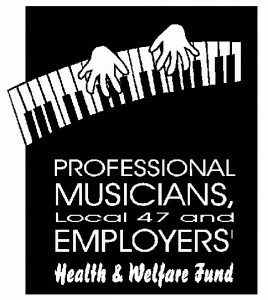 This entry was posted in Health & Welfare and tagged H&W, Health & Welfare, Health Savings Account, HSA, Professional Musicians & Employer’s Health & Welfare Fund on September 1, 2018 by admin. This entry was posted in All News, Health & Welfare and tagged Health & Welfare, women's health, women's health and cancer rights act on June 1, 2018 by admin. Eligible participants who have enrolled in one of the Blue Shield plans offered by the Professional Musicians Local 47 and Employers’ Health & Welfare Fund now have access to the Teladoc® program. This entry was posted in All News, Health & Welfare and tagged Blue Shield, H&W, Health & Welfare on April 10, 2018 by admin. The Fund mailed Eligibility and Enrollment information to all eligible participants in mid-November. The enrollment materials advise each participant of the level at which they qualified (A, B or C). This entry was posted in All News, Health & Welfare and tagged H&W, Health & Welfare, health & welfare fund, PacFed on November 29, 2017 by admin. This entry was posted in All News, Health & Welfare and tagged H&W, Health & Welfare on November 2, 2017 by admin. Your health matters, to you and to your family. Getting healthy and staying that way doesn’t have to be complicated. You can reduce your risk of many health problems by taking care of the basics, like preventive tests and exams and paying attention to your eye health, which might hint at bigger health issues. This entry was posted in Health & Welfare and tagged H&W, Health & Welfare, Kaiser Permanente on October 1, 2017 by admin. This entry was posted in Health & Welfare and tagged H&W, Health & Welfare, healthcare, landmark on August 8, 2017 by admin.